On Sunday morning, two Indonesian warships visited the Philippines for what was termed a goodwill and cooperation mission. The visit was a reminder of the ongoing cooperation between the two Southeast Asian countries in the maritime domain. Indonesia and the Philippines, both members of ASEAN situated in maritime Southeast Asia, have long been developing their maritime cooperation. That continues to be the case as both countries pay closer attention to rising transnational threats and increase collaboration in areas such as the Sulu-Sulawesi Seas. In addition to the much-ballyhooed trilateral patrols between Indonesia, Malaysia, and the Philippines, they also continue to carry out decades-old interactions like the Philippines-Indonesia coordinated border patrols known as CORPAT PHILINDO, with the last one occurring in July (See: “Indonesia, Philippines Launch Maritime Border Patrols”). Indonesia has also seen the Philippines as one of the target countries for the export of locally-built warships, as evidenced by the delivery of Strategic Sealift Vessels (SSVs) despite the challenges therein (See: “Will the Philippines Get More Indonesia-Built Warships?”). On Sunday, in another interaction within the context of this bilateral relationship, two active Indonesian warships arrived in the Philippines for a goodwill and cooperation mission, which lasts till November 1. 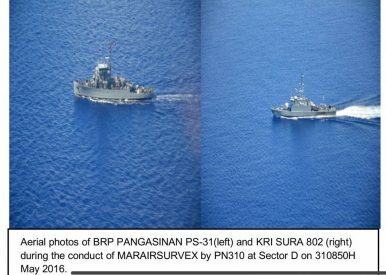 The KRI Sultan Hasanuddin and the KRI Sultan Iskandar Muda, two Sigma-class corvettes, docked at the Makar Wharf in General Santos in the Philippines and were welcomed by the city government, the Naval Forces Eastern Mindanao, and Philippine Navy reservists. Lt. James Reyes, public affairs chief of the Naval Forces Eastern Mindanao, said that apart from showcasing the capabilities of the warships, the visit was part of the continuing cooperation between the naval forces of Indonesia and the Philippines. Several interactions were arranged to that effect, including free public viewing and tours on Monday and Tuesday morning, a reception dinner, and a number of goodwill and traditional games between the Indonesian crew and local counterparts. Apart from maritime security, Berlian Napitupulu, the consul general of the Indonesian consulate in Davao City, told local media outlets that the interaction was also a testament to the importance of wider subregional cooperation between Mindanao in the Philippines and port cities in North Sulawesi such as Bitung and Manado. He said that efforts were also ongoing to promote economic exchanges through trade and tourism. As I have noted before, superficial analyses of ongoing security developments in maritime Southeast Asia often fail to include this important subregional angle (See: “Malaysia-Philippines Meeting Puts ASEAN Subregional Cooperation in the Spotlight”). The visit of the Indonesian vessels to the Philippines this week was no exception.